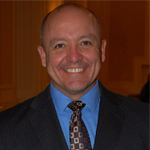 This month Albert Cobos, MS, Adjunct Faculty Member / Los Angeles Campus is recognized. The spotlight is also on National Hispanic Heritage Month and Union’s commitment to diversity.  Union serves a 26% Hispanic adult learner population. It is the only university in Ohio designated as a Hispanic Serving Institution (HSI) by the U.S. Department of Education Office of Postsecondary Education Hispanic-Serving Institutions Division web page. A HIS is defined as a university where total Hispanic enrollment constitutes a minimum of 25% of the total enrollment. Get to know Al Cobos, Hispanic faculty member at the Los Angeles Campus, in the Q&A below. A. I love being an instructor for the university and for the Los Angeles County Sheriff’s Department where I work as a training and curriculum developer. Teaching at the university level allows me to remain relevant in my field which is criminal justice. This discipline is as multi-faceted as the students in my classroom. Topics such as current events, managing our people, ethics, civil disobedience, constitutional policing, and the continual progression of technology keeps me well informed for my students. I firmly believe that there is no finish line or final destination when it comes to instructor development. It is a continual process. A. Teaching at the university level was a personal goal to accomplish after earning a Master of Science degree. The attraction to Union was being able to instruct students that were currently in the criminal justice field. From social workers, police officers, deputies, and probation officers, the experience brought into the classroom is an essential part of each discussion. Tapping into our students experiences is key in delivering course content which is relevant and applicable to our students. Union allows for practitioner faculty members to make the classroom an engaging environment to learn. A. Simply put, a chef. I have enjoyed cooking all of my life and eating great food is an equally enjoyable experience. I have watched so many shows about successful chefs and their approach to cooking. I have learned some valuable nuggets of knowledge reading and watching these successful chefs. For most of the success that they have had, most of them were incredibly proficient in their cooking skills and most were French trained chefs. However, their creativity and greatness in the culinary world manifested once they were able to break free of the conventions of traditional French cooking. They took risks in order to reach a high level of creativity. While I would love to have these skills to work as a chef, the approach is similar to teaching. We learn the basics of instruction, but once we become proficient in this intricate skill, we can become creative in the process of mastering our craft, instruction. A. I am an introvert. I truly enjoy speaking at conferences, training events, and of course the classroom. I seek out opportunities to speak in front of people as much as I can. It is a skill which is a continual evolution for proficiency. However, I love spending time alone. I can be found dining, having coffee, or watching a movie alone. I am very comfortable with this part of me. It allows me the freedom to think. I took a solo trip from California to Alaska and back a number of years ago on my motorcycle. I loved it. It was a time to enjoy the journey while having the time to think. Solitude is one aspect of our lives that we should seek out and embrace. A. I’ve read so many books over my lifetime. One that I enjoyed was The Explorers by Martin Dugard. It is an account of two competing explorers who are searching for the source of the Nile River in Africa. Their successes, failures, and creative risk-taking truly resonated with me since living a full life is not about taking the safe route or being status quo. To achieve true personal fulfillment, risks must be taken. They are not reckless risks, but rather calculated ones. I’m a risk taker by nature, but this book expanded the possibilities. Learn more about Union’s commitment to diversity, by clicking below or call us today at 800-861-6400.